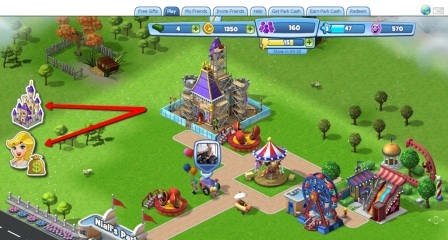 Game Description: Bring back the thrills in the new game from Zynga! 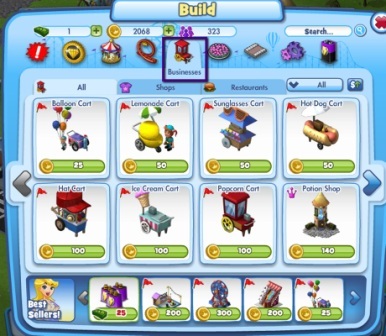 Design custom rollercoasters, build unique themed lands, and more. Watch your park guests come alive and react to your park designs in real time as you build the most thrilling theme park the world has ever seen—play CoasterVille! Like many other video games you may be familiar with, you level up in CoasterVille by earning XP (Experience Points). You can see your XP at all times in the bar on the top of the game. 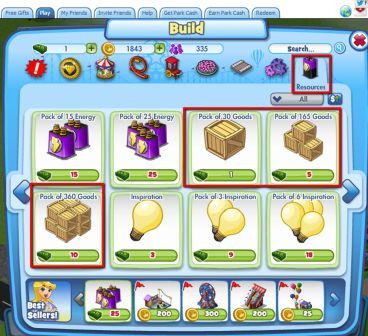 If you hover over the XP bar, you can see exactly how much more you need until the next level! 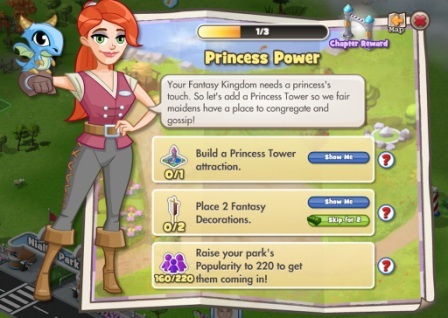 You will earn more XP by performing actions in your park. 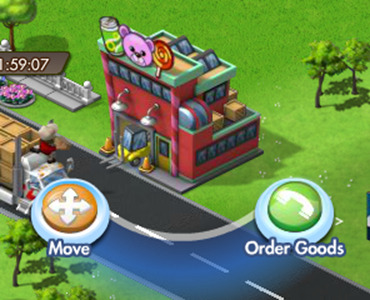 When you click on or collect from buildings, you will see star doobers pop out like below, these are XP points that will count toward increasing your level! Leveling up has it rewards! Every time you level up you'll earn new unlocks and surprises! 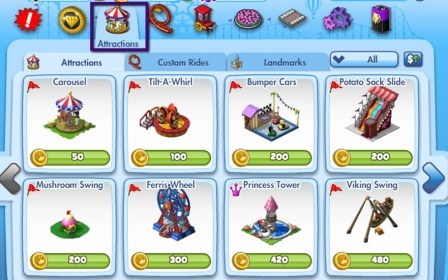 In order to make your park amazing, you will want to fill it with attractions, decorations and businesses. 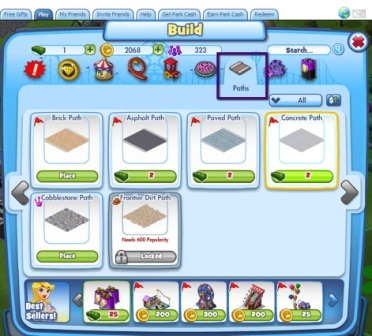 You can find everything you need in the "Build menu". 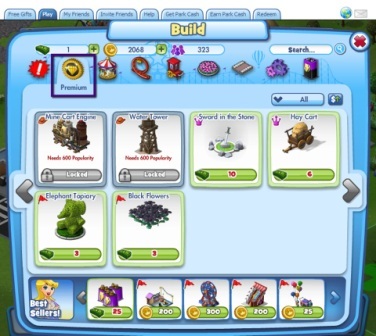 After clicking on the build menu you will see many different sections of the menu. People won't come to your park unless it's popular! 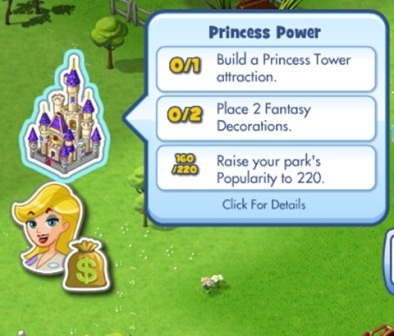 You want to try and add as much popularity to your park by building as many attractions as possible. 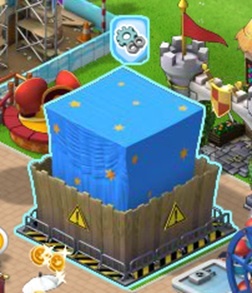 Building attractions will add popularity! 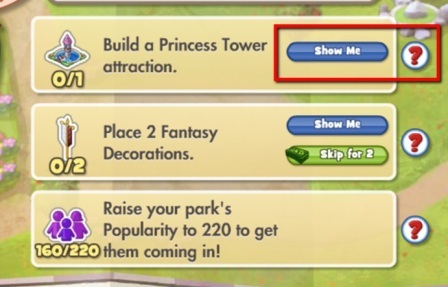 When shopping for an attraction, hover over the item in the build menu to find out how much popularity it will add to your park. 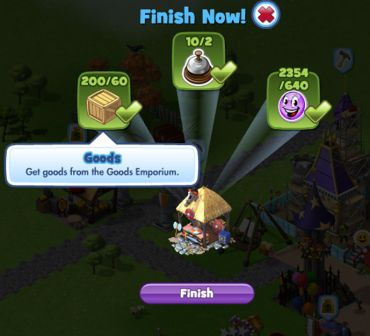 When completing attractions, businesses and more, you'll need goods. You can get goods a few ways. 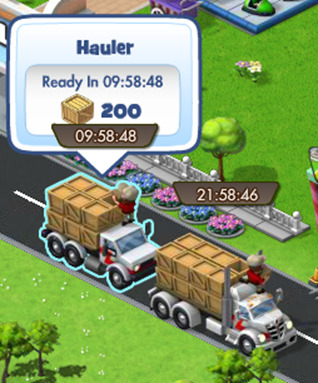 After you order your shipment of goods, they will arrive in the street in front of your park. 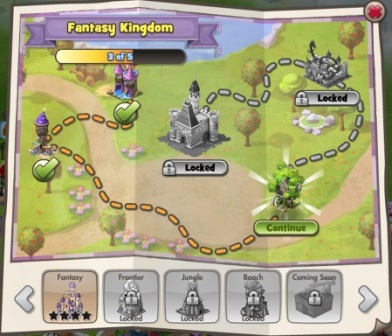 You can boost your rides to gain popularity, xp and more rewards! Boosting is fun and your park attendees love it! 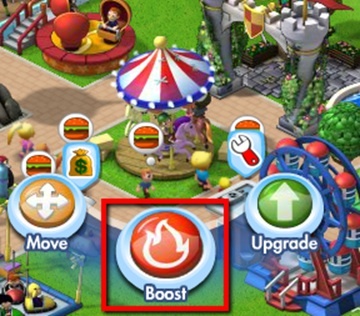 To boost your ride, just click on it and then click "boost". If you keep going, you may break your ride! 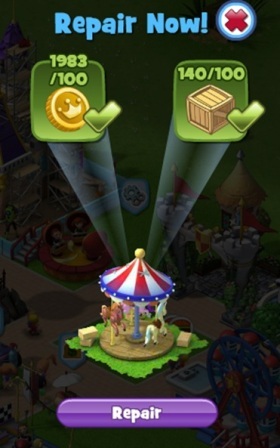 If you break your ride, fear not, you can simply repair it for coins, goods and/or other requirements—depending on the ride. Rides can take a lot of punishment before they break...so don't be afraid to boost your rides! It's a great source of XP and other rewards. 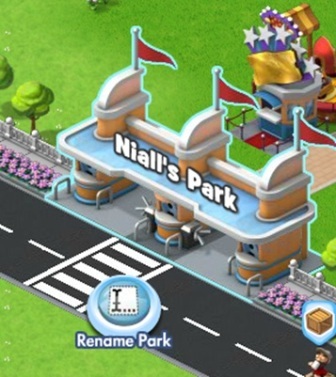 If you ever want to change your parks name, simply click on the front gate and click on "Rename Park". Type in the name you'd like and click "rename." 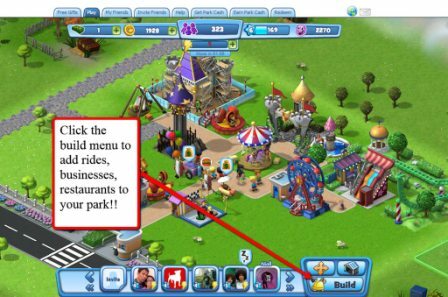 Remember, having "share" checked will tell your friends your new park name, so pick something fun! 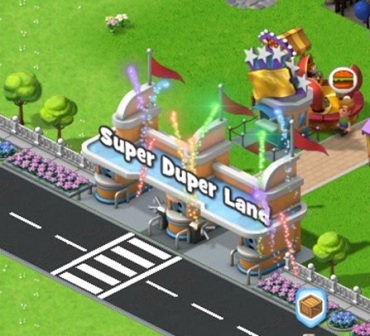 You can change the park name as often as you like! 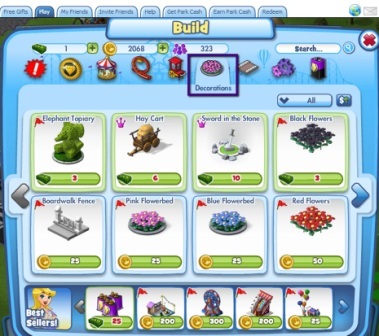 On the right hand side of your screen, you'll see a series of buttons. These are here to control the display and sounds in the game. Be sure and play in Full screen as much as possible, sometimes you'll have quests that require you to look for something beyond your park. 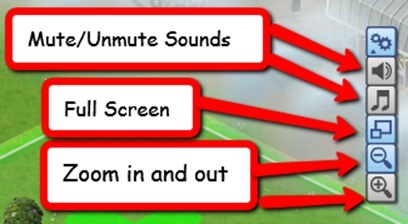 You can mute and unmute the Music and Sound Effects in the game separately! 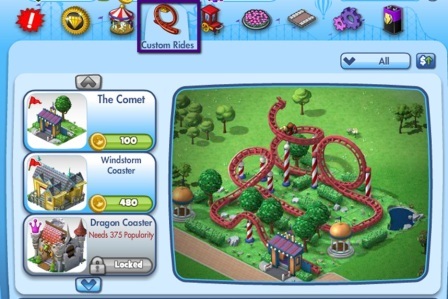 In CoasterVille, clicking on something will give you options for the item. 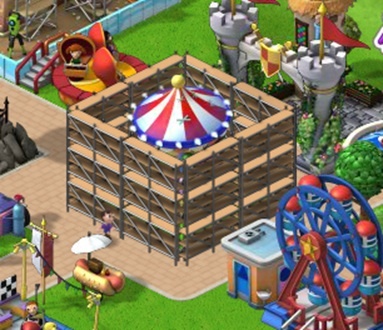 Many of the rides and businesses in your park can be upgraded. 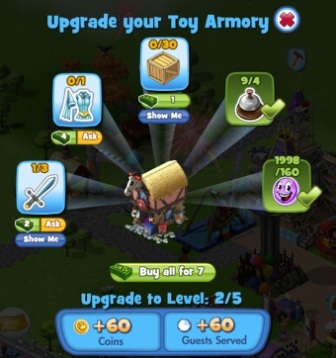 Upgraded items will offer higher rewards and payouts. 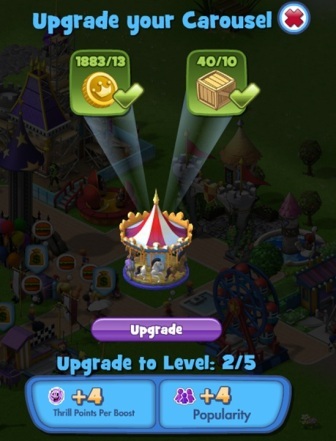 Here's how to upgrade from level 1 to level 2, using the Carousel as an example. 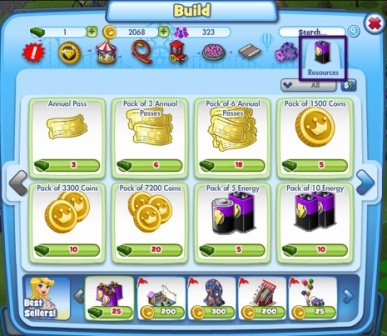 On this screen you will see the upgrades this will offer to payouts. In this case, +4 Thrill points per boost and +4 popularity to the park. 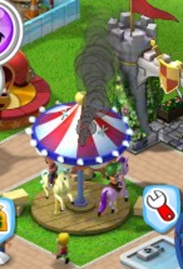 Then.....boom....you have an upgraded Carousel (Level 2). 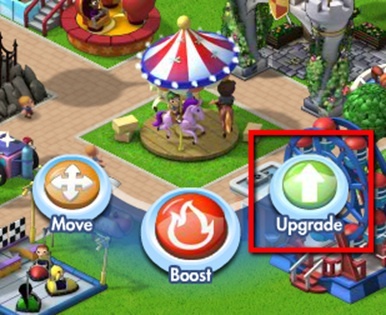 Later upgrades will require different things to complete them. 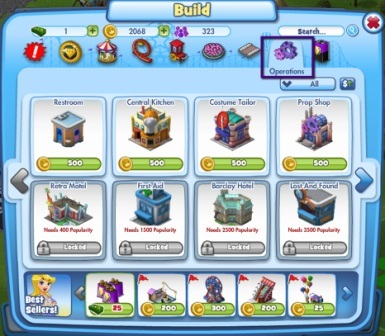 Usually you will be able to complete these with cash or click "show me" or "Ask" to collect these items from friends or within game. As you progress you through the game, you will be provided goals. These will pop up on the left hand side of the screen for you to click on. Go ahead and click on the icons to the left to begin completing goals for rewards, unlocks and other surprises! Hover over the goals to see your progress and an overview of your goal. Click on the ? mark or the "Show Me" button for help in the goals. Usually clicking show me will take you where you need to go! 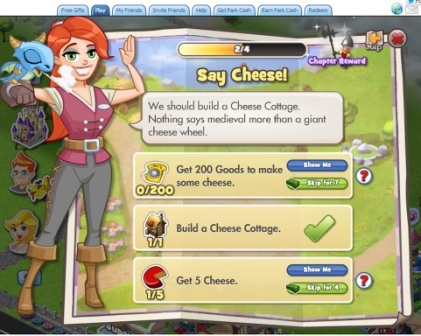 If you want to bypass the task, you can also do so with cash. 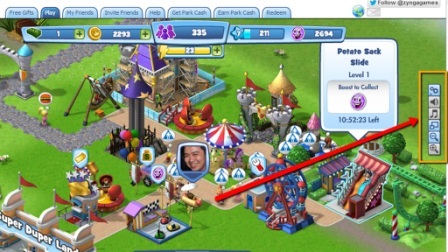 in the above screen, you could skip the “Place 2 Fantasy Decorations” for 2 Park Cash. As you progress through these tasks, you’ll progress through the goals—and before you know it, you’ll complete the goal! Remember, goals are good! 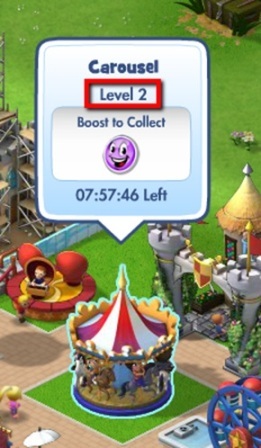 You want to always check your progress on goals as they will allow you to unlock new parts of the park, rides, themes, rewards and more. 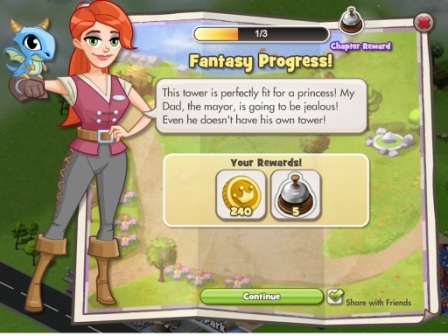 Here is an example of one of the Quests you'll be completing along your journey! 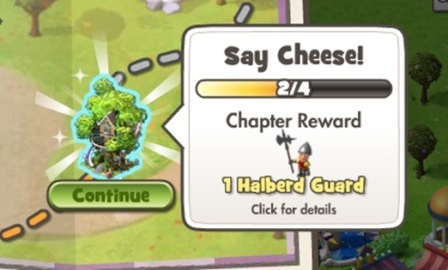 You can hover over the quests on the map to quickly check the progress of the quest and the reward! You will be earning rewards along the way. Notice the Different themes below! You can hover over each of them to find out how to unlock them. This player has to get 600 popularity to open up the "Cowboy Way" theme.